Warm and toasty, we spend countless days and nights enjoying the feel of a fire burning a brilliant glow inside of our fireplace. Aside for basic fire safety, there's another hazard to protect our families and friends from at all times. Carbon monoxide, (CO) is an odorless, colorless, poisonous gas with the potential to kill within minutes. Dangerously undetectable by sight, taste or any irritating reactions, CO proves to be a "silent killer", quickly depriving its victims of essential oxygen. 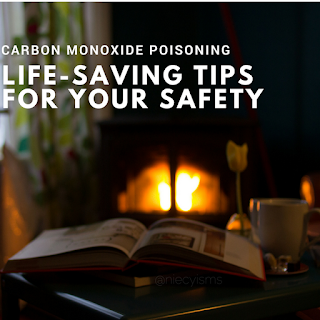 Share this important carbon monoxide poisoning alert with life-saving safety tips with your family and friends today. 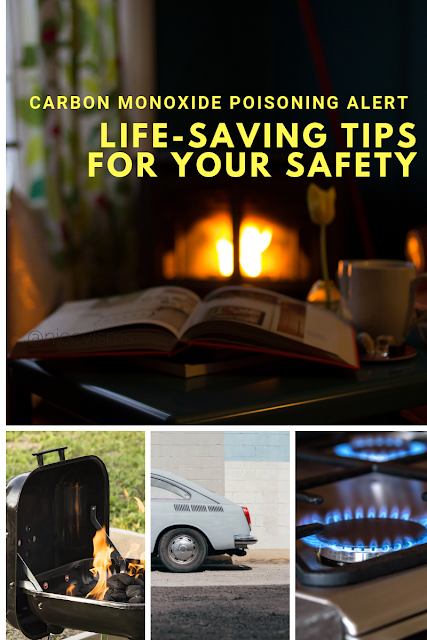 Carbon Monoxide (CO) is commonly found in circulating in fumes produced from burning fuel in vehicles, stoves, grills, fireplaces, gas ranges, and furnaces. Wood, propane, gasoline, kerosene and oil are everyday household sources of carbon monoxide. Levels of CO have the potential of hazardously accumulating indoors, poisoning people and pets unknowingly inhaling the odorless fumes. Instantly overwhelming, identifiable symptoms of CO poisoning include headache, dizziness, weakness, upset stomach, vomiting, chest pain, difficulty breathing, drowsiness, and confusion. Carbon Monoxide symptoms are comparable to “flu-like” symptoms, sadly with poisoning leading to loss of consciousness, brain damage, or death. Sleeping, intoxicated, or those with impaired functioning are at higher risk of experiencing CO poisoning. Infants and young children, elderly, people with chronic illnesses or breathing issues are most susceptible to sickness from CO poisoning. According to statistics obtained from the Centers for Disease Control and Prevention (CDC), "Each year, more than 400 Americans die from unintentional CO poisoning not linked to fires, more than 20,000 visit the emergency room, and more than 4,000 are hospitalized." - Never use a gas range or oven for heating. Using a gas range or oven for heating can cause a build up of CO inside your home, cabin, or camper. Our vehicles are frequently-used producers of Carbon Monoxide, remember to routinely have annual vehicle servicing, inspecting the exhaust system of cars or trucks. Undiscovered leaks in the exhaust system can result in a build up of CO inside vehicles. Keep numbers for the fire department, gas company and emergency contacts clearly displayed and stored in phones. In the event of a suspected Carbon Monoxide poisoning, open all windows and doors immediately. Everyone should leave the premises to get fresh air. Call 911, the local fire department and the gas company. Visit the Centers for Disease Control and Prevention (CDC) for additional safety information and updates.